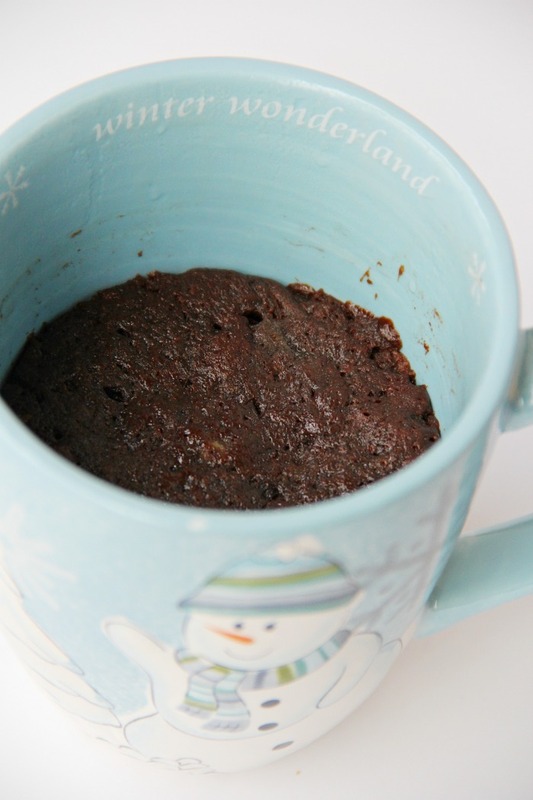 Ultimate Brownie in a Mug – This decadent, five-ingredient rich and fudgy brownie is made in the microwave and ready to enjoy in minutes! Boy, do I have a treat for you all today! It’s not often that I go out and buy store bought desserts. Okay, I take that back. I DO buy those Lil’ Drums ice cream cones from Nestle, but other than that, I rarely bring any cookies, muffins or cupcakes home from the bakery. First of all, it’s too tempting to have that stuff in the house all the time, and more often than not, the kids may eat a cupcake the day I bring them home but then they’re looking for something new the next day. The four left in the package dry out and never get eaten. Do things like this happen at your house too? 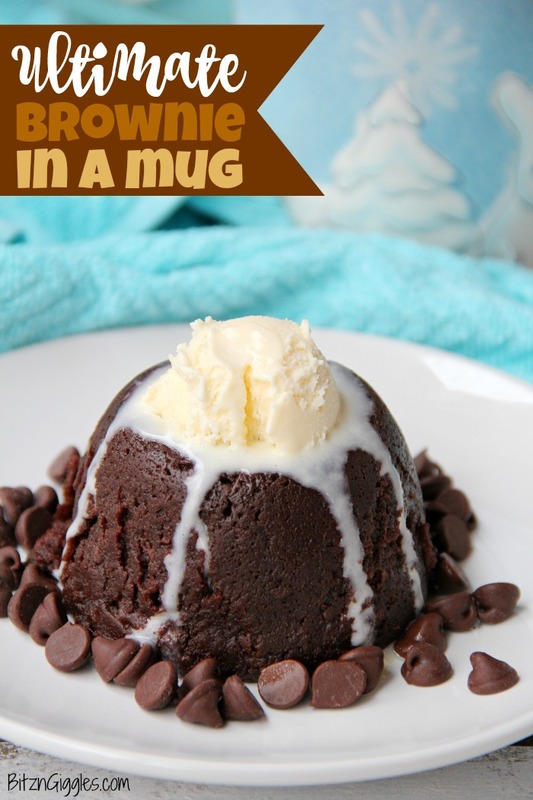 TODAY, I’m sharing the recipe for the ULTIMATE Brownie in a Mug. 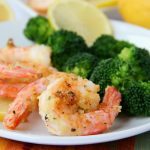 I promise there will be NO WASTE and you can make it quickly and easily when cravings come knocking. 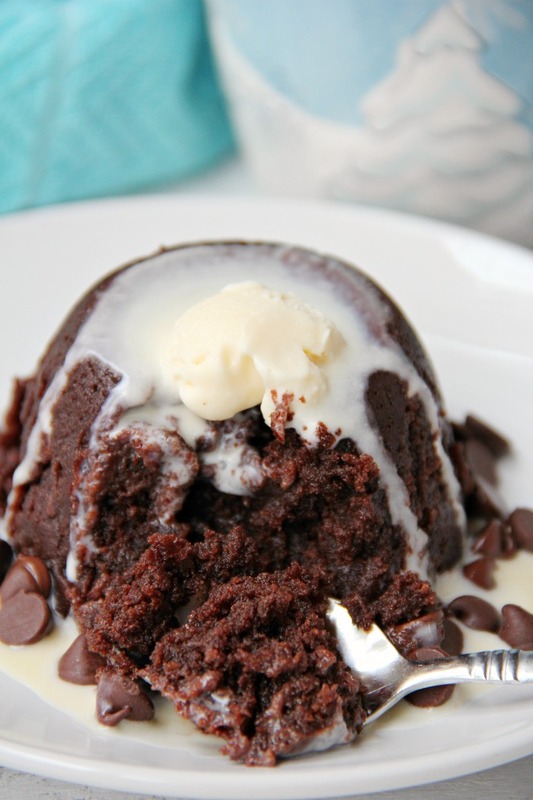 You may have noticed I have A LOT of microwave desserts and mug cakes on my blog. There’s a reason for that. 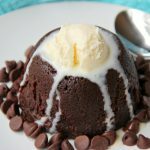 Mug desserts are perfectly portioned (well, most of the time), can be made with ingredients already in your pantry and are quite delicious (at least the ones on this site ?). So, enough of the chit chat. I know you’re looking for the recipe!! Let’s do this. I have another surprise for you. 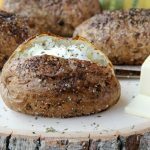 This is a 5-ingredient recipe. Pretty incredible, right? All you need is butter, chocolate chips, sugar, flour and one egg. After you combine and melt the butter and chocolate chips, you whisk or stir the rest of the ingredients along with them. The batter then goes right into a greased microwave-safe mug. 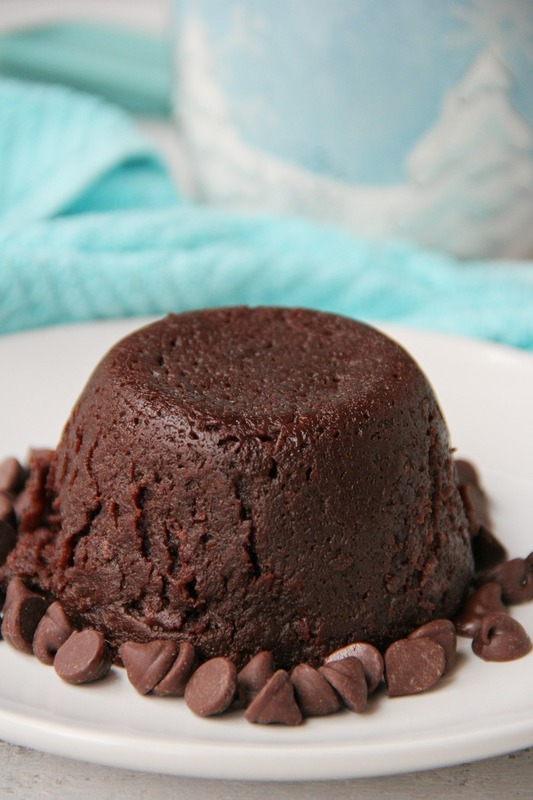 For this recipe, you’ll want to make sure you use a larger mug (at least 14-18 ounces) or two smaller mugs (at least 6 ounces each) if you decide you do, in fact, want to share this fudgy treat. I usually heat my mug on high for 2 minutes. If you’re heating two smaller mugs, check them at about 90 seconds or so and see how they’re doing. Remember, all microwaves heat differently depending on the size and wattage. Err on the side of caution. If you undercook the brownie, you can always put it back in. If you overcook the brownie, you’re out of luck. You’ve been warned.? The brownie should “look” done but may be slightly gooey around the edges. That’s just fine. 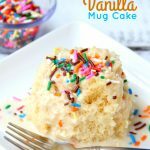 I introduced readers to “inverting” mug cakes onto a plate back when I posted my popular Vanilla Mug Cake. 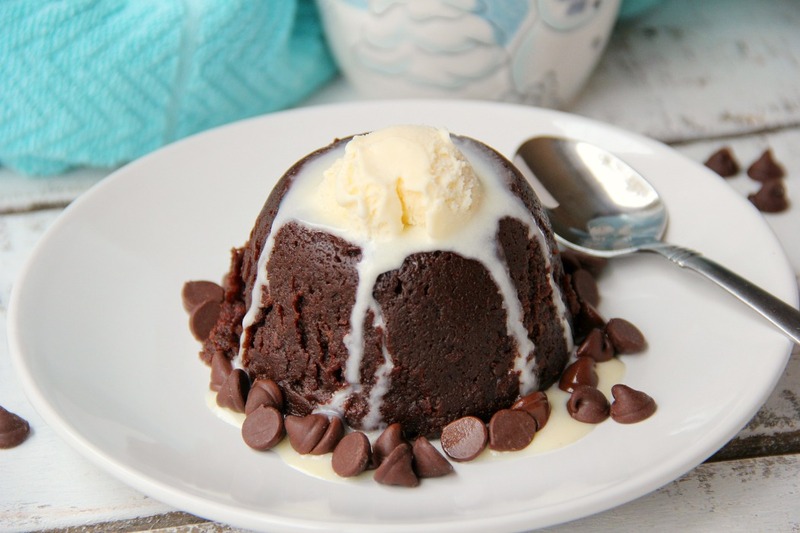 I don’t do it to all mug cakes (an example is my chocolate mug cake), but sometimes it just looks nicer on a plate than eating right out of the mug. If you really can’t stand washing dishes, by all means, eat the brownie out of the mug. No matter how you choose to enjoy it, it will be delicious either way! 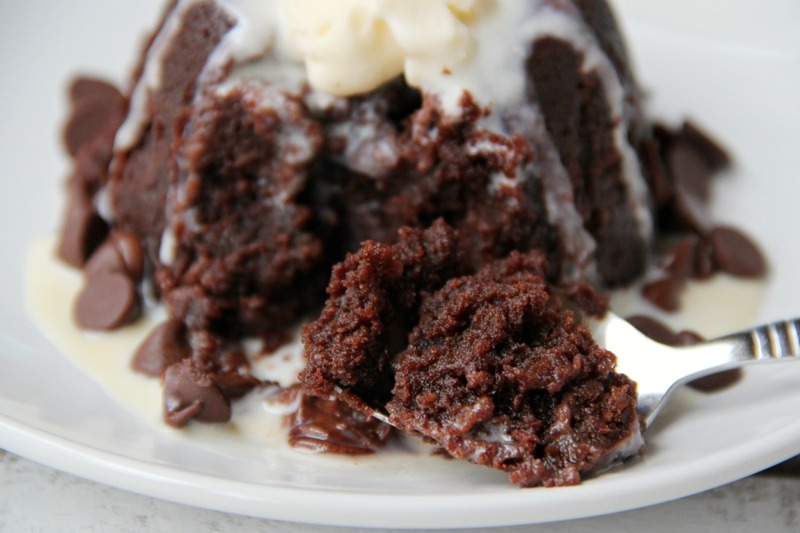 Just look at that chocolate, fudgy deliciousness! When served warm, it’s pretty much like having a little taste of heaven. Top it with a small scoop of vanilla ice cream, and you’re REALLY in for a treat. Once the ice cream starts melting, it envelops the whole brownie. I always grab a spoon rather than a fork to make sure I’m getting some ice cream and brownie in every bite. Want a closer look before we dig in? Sometimes for fun I even sprinkle some chocolate chips around the brownie. The warmth of the brownie melts the chips right into the ice cream.? Just look at how moist, fudgy and decadent the inside of the brownie is! Drag that spoon through the melted ice cream and the chocolate chips before grabbing a big spoonful of the brownie, itself. You are not going to believe your taste buds when you make this, my friends. My hubby, Josh, stared at me in awe when I told him I made this brownie in a mug in the microwave. 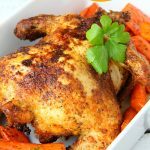 I’m not sure if he was thinking it was too delicious to be true or thinking that he could make his own whenever he wanted because I made it in the microwave with only five ingredients! Either way, he was awe-struck and cleaned every bit of this brownie off the plate (after I had a couple of my own spoonfuls, of course). Alright, it’s your turn to storm the pantry, gather your supplies and whip one of these up. Let me know your thoughts in the comments! 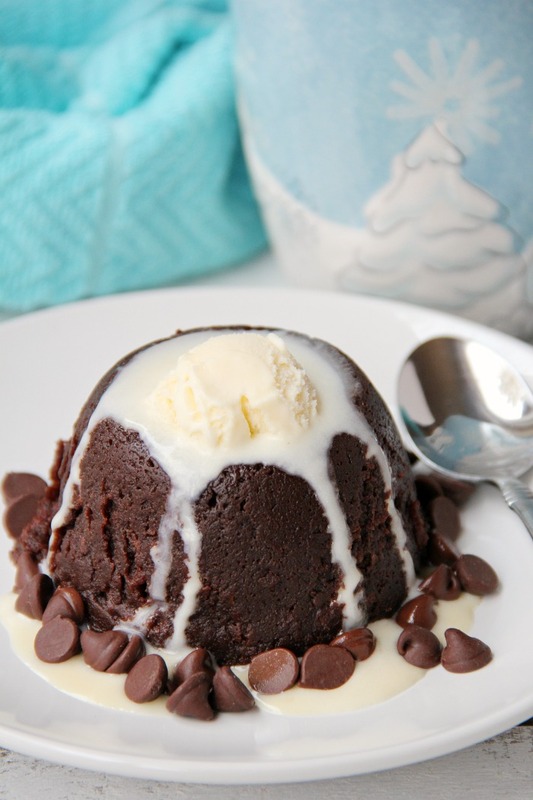 Craving More Quick Mug Cake Recipes? This decadent, five-ingredient rich and fudgy brownie is made in the microwave and ready to enjoy in minutes! In a microwave-safe bowl combine the chocolate chips and butter and heat at full power for a minute. Whisk in the sugar, flour and egg. 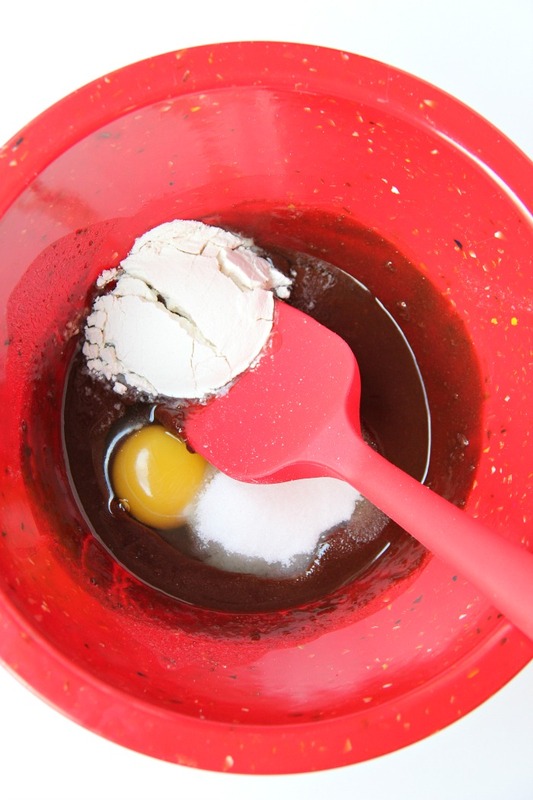 Pour batter into large, greased mug (at least 14-18 ounces) and heat at full power for two minutes. Use a butter knife to loosen brownie from sides of mug and invert onto a plate. . .or just leave it right in the mug! 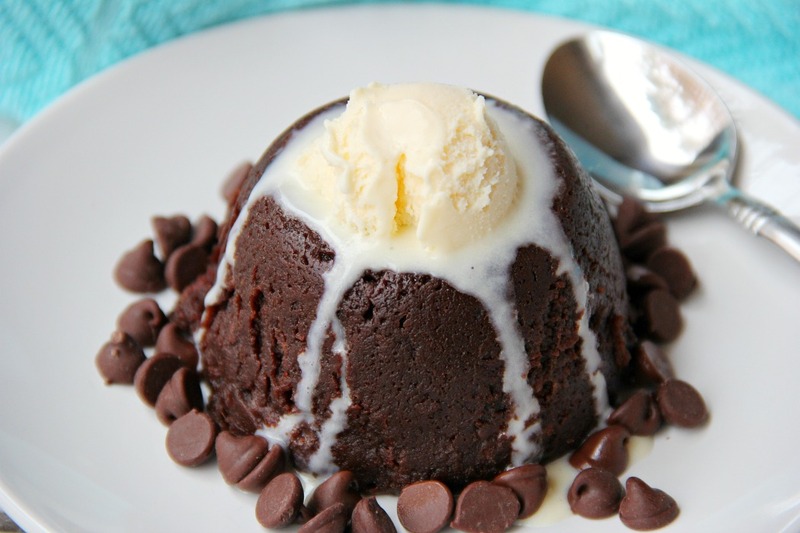 Surround with some extra chocolate chips, top with ice cream and enjoy. This is called the ULTIMATE Brownie in a Mug because it is intended to serve two people rather than one. It’s great for sharing with a friend! If you’d like, you could also split the batter between two smaller mugs that are at least 6 ounces.